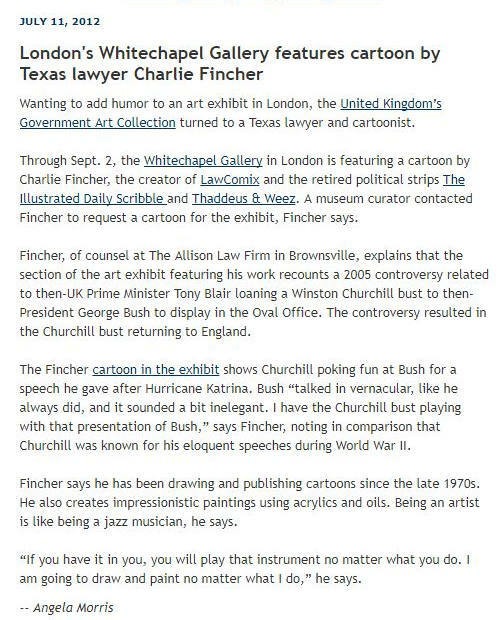 Charles Fincher is a lawyer, artist, graphic designer, cartoonist and writer. He has won several Addy awards for his design and illustration work. He designs logos, web ads, print ads, invitations, announcements, brochures, type and more. Fincher also comes up with the concepts and writing. 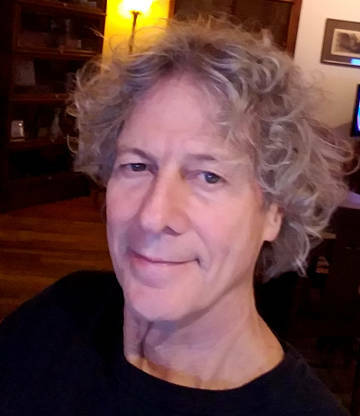 Fincher’s cartoons, illustrations and op-ed columns have been published in multiple American newspapers including the Houston Chronicle, Austin American-Statesman, Boston Herald, Arizona Star, Idaho Statesman and The Des Moines Register. 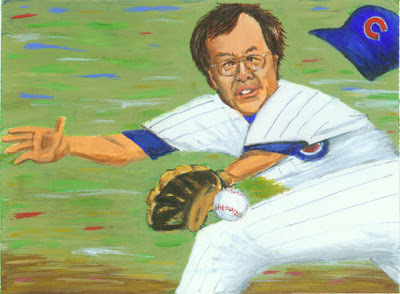 His work has also appeared in the Saturday Evening Post, the National Law Journal, American Lawyer and the ABA Journal. His art has been featured in over 100 legal publications and textbooks in the USA, England, Canada and Australia. Fincher is a lawyer and of counsel to The Allison Law Firm. 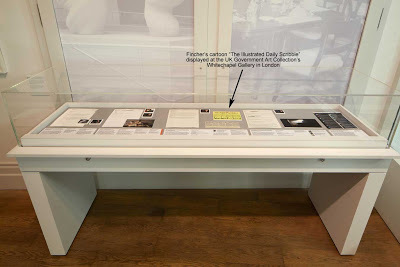 An exhibit in the government’s White Chapel Gallery in London, England, on Churchill’s bust included two of Fincher’s cartoons. LawComix A collection of six different cartoon projects for lawyers created by Fincher. They have been licensed for used= in presentations from Hong Kong to New York City to London to Tel Aviv. 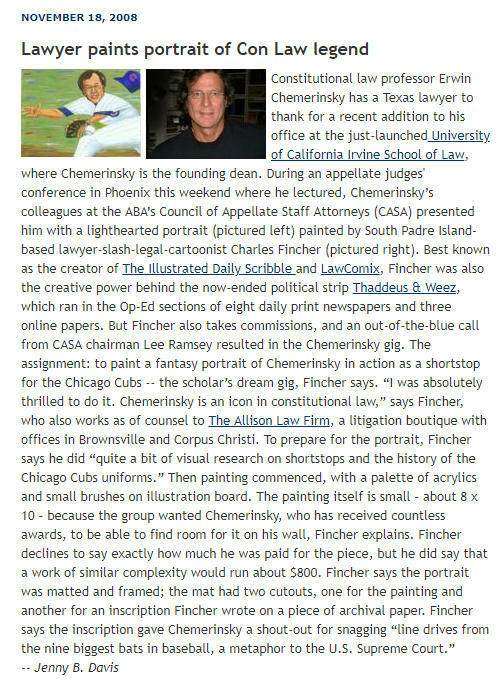 lawyer-slash-artist is an online portfolio of Fincher’s paintings and drawings. Thadeus Weez was long-running weekly, political comic strip, published in the weekend opinion sections of 15 print newspapers including the Houston Chronicle, Austin American-Statesman and several online papers. After 20 years, Fincher retired the strip. The Illustrated Daily Scribble was an award-winning online political cartoon that is now retired. ScribbleBeach is an off-the-wall beach humor from Fincher who lives at the beach. LawPhrases is Fincher’s online shirt shop for lawyers. It has men’s and women’s Tees, Scoop Necks, Long Sleeves, Hoodies and more styles with 0ver 30 LawPhrases to select from.